1. Preheat the oven for 200o C for 10 mins. 2. 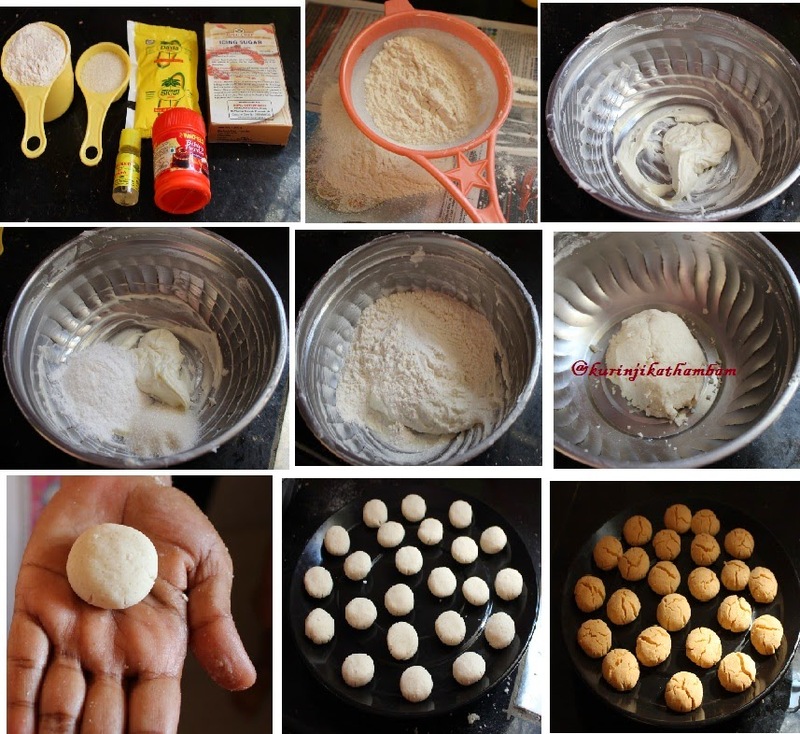 Sieve the flour with baking powder and keep it aside. 3.Cream the dalda with your palm till it gets soft and fluffy. 4. 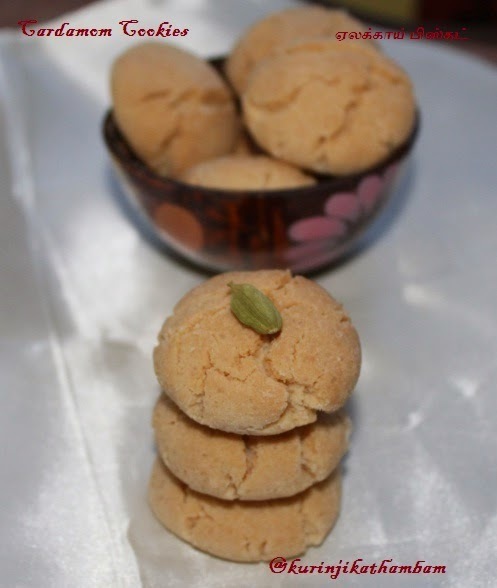 Add cardamom essence, icing sugar and granulated sugar to the creamed fat and mix them well. 5. Add the flour and knead to a soft pliable dough. 6. Make a gooseberry side balls and press them between your palms. 7. Then arrange them on a baking tray and bake it for 10 – 15 mins at 1800 Celsius. No need the grease the baking tray. 8. Allow it to cool down and store it in air tight container for later use. 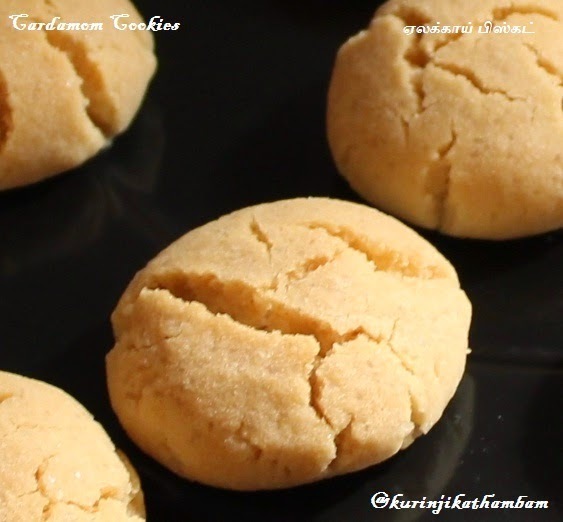 Aromatic and yummy cardamom cookies are ready. 1. I used dalda, but you can use butter also. 2. Add any vanilla essence instead of cardamom essence. 3. Creaming the dalda is very important. 4. 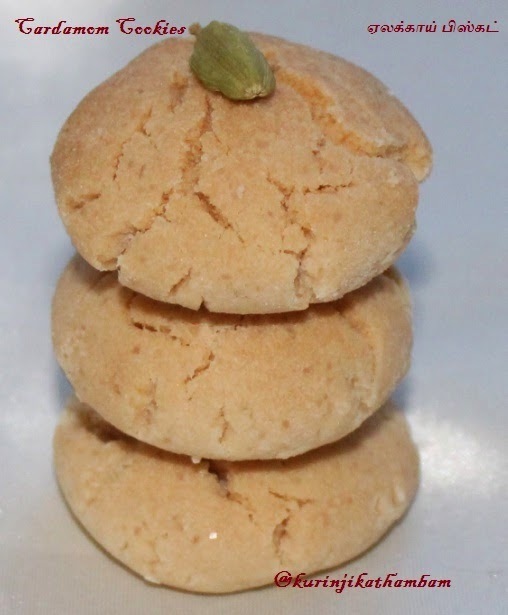 Granulated sugar gives the color and texture. Wow, perfect cookies, crispy crunchy. Nice pics and cookies ! How to cream dalda or butter? @ Anonymous: cream the butter with your palm or electric beater.